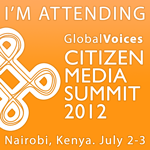 First published in Global Voices Online. 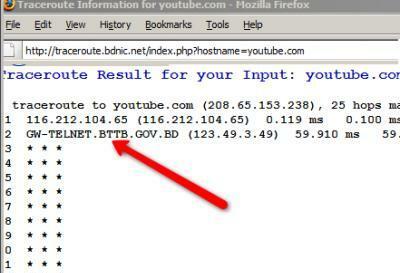 Internet users in Bangladesh are not able to access YouTube since Friday (March 6, 2009) evening. Soon people discovered that other Social Media and file hosting/sharing sites like Esnips, mediafire etc. were also not accessible. Apparently these are blocked by the firewalls at IIG (International Internet Gateway) as these can be accessed by proxy. While accessing YouTube from Dhaka a 'time out error' was being returned and people thought there was something wrong with YouTube Server. Soon people found out that they could not access E-snips (a file sharing site). So people feared that somewhere the data is being blocked. It is not logical to blame the government without proof and logic. But soon IT experts and network engineers from all over Bangladesh notified that YouTube and a few other sites are being blocked by a firewall in some government server. When traceroute command was executed from the Bangladesh Linux user group server targeting Google, YouTube and E-snips sites the result showed that Google server could be reached but the other two were being stuck at BTTB Firewall. 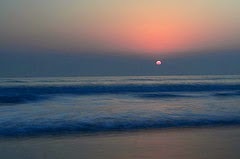 Mango and BTCL (formerly BTTB) are the official IIGs (International Internet Gateway) in Bangladesh. Starting last April, by regulation, all Bangladeshis ISPs have to route their international traffic to either Mango, or BTCL, who send the traffic over either the submarine cable or the vsats. The YouTube ban was confirmed [bn] by a Bangla Newspaper Prothom Alo. Twitter user Mahay Alam Khan reports on the ban on more sites. mahayalamkhan: youtube, eSnips, midiafire, filefreak, upload-mp3 are banned or blocked in Bangladesh. Please, re-twitt. Why did the Government do this? It's because of an audio recording that could "damage" the reputation of our great Prime Minister Sheikh Hasina. For now they blocked YouTube and eSnips, but in the future there might be more sites. Maybe Facebook too? People shares a lot of stuff there. After the recent BDR mutiny and massacre of army officers in Dhaka the Prime Minister met the aggrieved army officers in a confidential closed door meeting at Shenakunja where no press or outsiders were allowed. The conversions in the meeting and cellphone video recordings were leaked out, uploaded and shared using many file sharing sites including E-snips and YouTube. Unheard Voice blog discusses the issue of the leaked audio files which are being used by some quarters to create some political bickering and malign the army and the Prime Minister. If Bangladesh Govt thinks Internet is like Cellphone service then they are living in fools' paradise. There are many ways people can bypass the blockage. [..] In this particular case anyone can use Anonymous proxy and bypass firewall! Youtube, eSnips etc are very common and useful services. If Bangladesh Govt think any particular Audio and Video harmful for our society they could directly request Youtube to remove them. Such wild blockage is not only stupidity but also raises question about Govt's intention. Some bloggers like Kayes Mahmud are providing proxy links so that others can access the blocked contents. Razon Sun points out that the contents of the meeting at Shenakunjo have already been published in a local newspaper [bn]. So there is actually no logic to block the internet. It may be mentioned here that Bangladeshis outside Bangladesh can easily access to these contents, which can be downloaded and shared by email. Before trying to block the audio/videos please see how it was recorded and where it was first uploaded. Please check the video of the Shenakunja meeting to pin point who recorded it. It is not hard to find out. What's ironical is that it's the same Government that talks about "Digital Bangladesh" all the time. We now know what Digital Bangladesh is like. Now the question is how to unblock YouTube and other file sharing sites in Bangladesh. We have seen in previous cases that the authorities do not recognize that such bans were carried out in the first place shifting the blame to technical glitches. In the absence of 'Right To Information Act' it is hard for a common citizen to ask why it was done. We hope that the authorities will unblock all these sites to prevent more controversies and bad publicity for the government.